While there’s never a convenient time for your heating system to go belly up, Comfort Solutions Heating and Air makes heating installations and repairs as painless as possible. There’s no brand or equipment model our team of technicians hasn’t seen, and our 8 a.m. to 6 p.m. hours make it easy to schedule HVAC installation & repair service when it’s convenient for you. And, when your system conks out overnight, we provide award-winning emergency service that keeps your family safe and comfortable—with after-hours charges that don’t break the bank. 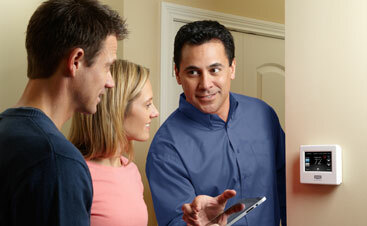 Contact us today for your free estimate on heating system installation & repairs! 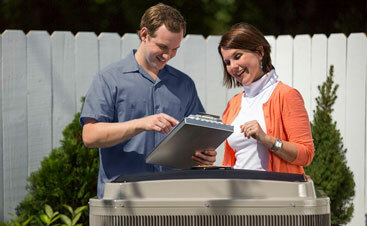 For a free estimate on your heating repair service contact our service representatives. If you find yourself calling for HVAC repairs more than normal or you have had your heating system for more than 15 years, it may be time for a heating system replacement. Did you know that Comfort Solutions Heating and Air offers a FREE second opinion on cracked heat exchangers? We are so confident that our method of heat exchanger crack detection is superior to others that we’ll send a certified technician to inspect the heat exchanger in your furnace at no cost. Call 580-609-4165 to schedule repairs or request a free second opinion today!